Muktinath is located at the foot of the Himalayas. At an altitude of 3,710 meters, this place has a unique mesmerizing charm. It is a sacred place for both, Hindus and Buddhists. The temple is a small pagoda styled structure dedicated to Lord Vishnu. The backdrop makes incredible starkness. To the south, you can witness the snow-covered Annapurna range, while to the north lies the Tibetan plateau. 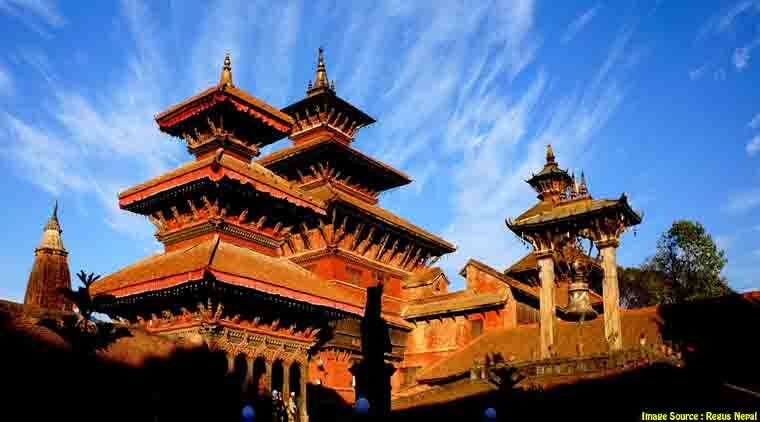 This Muktinath tour package conglomerates the visit to popular temples in Nepal, namely Pashupatinath Temple, Muktinath Temple and Manakamana Temple, along with other sightseeing destinations in Kathmandu and Pokhara. Get all the information about the temples, nearby attractions, the best time to visit Muktinath, roadmaps, Muktinath trip cost, required permits and suggested tour itinerary. We also provide Muktinath helicopter tour package to make your journey easier and faster. Get in touch with us on 0888 222 4422 to get more information about Muktinath helicopter tour. Welcome to Kathmandu with our Muktinath Yatra. Be prepared for a soulful experience. On arrival to the airport, transfer to the hotel will be arranged. Check in and have lunch. You can spend rest of the day at leisure. There are several tranquil spots in the valley to re energize. 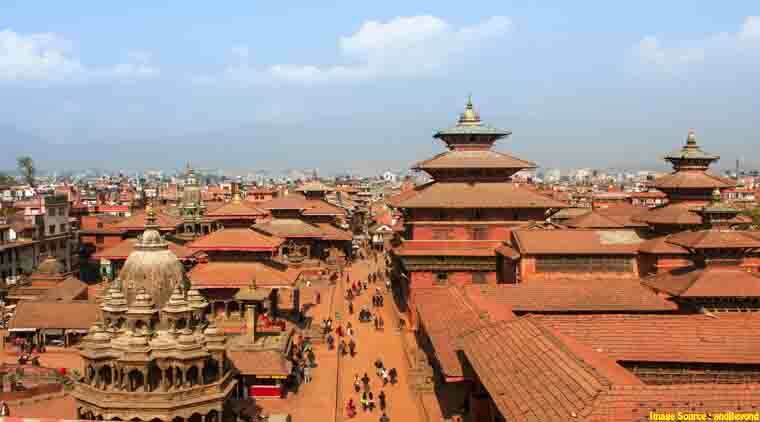 We recommend you to visit the local markets in Kathmandu Valley. Visit Thamel to buy pure pashmina shawls and other souvenirs. (Market Timings: 10:00 a.m. to 08:00 p.m.; Taxis are banned from entering; Nearest ATM :Fire Club, inside the gates of Kathmandu Guest House) . Head to the hotel and stay overnight. After an early breakfast, visit the Pashupatinath Temple (timings: 04:00 a.m. to 09:00 p.m.; entry fee: free for Indians and INR 1000 for foreigners) on 2nd day of your Muktinath Yatra. Dedicated to Lord Shiva, this temple is one of the four most significant religious locations in Asia for disciples of Shiva. This is the largest temple complex in Nepal. The main pagoda style temple has a gilded roof with all four sides concealed in silver and wood carvings of a premium quality. Next, visit the Swayambhunath Stupa (timings: 10:00 a.m. to 08:00 p.m.; entry fee: INR 50/200 for Indians/foreigners). It is one of the most divine Buddhist Chaityas in Nepal and has numerous monasteries and shrines on its premises. Later, head out and drive for six hours to Pokhara. En-route you can take a cable car and visit the Manakamana Temple (timings: 09:00 a.m. to 05:00 p.m.; entry fee: INR 150/700 for Indians/foreigners). The ride gives you a breathtaking view of mountains, forests and little farming villages while soaring through the clouds. 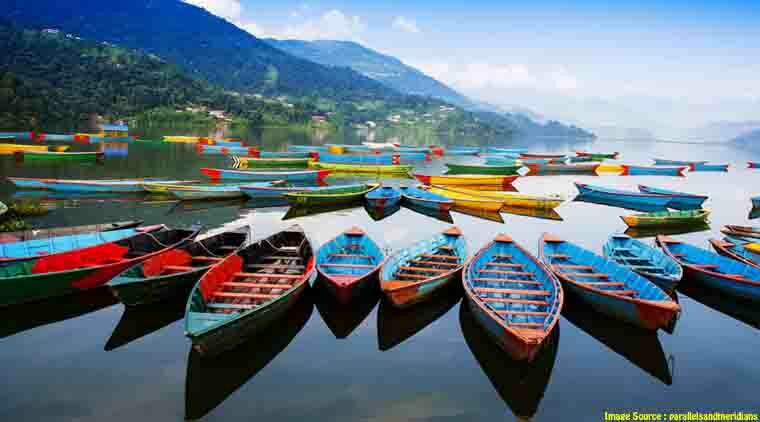 Reach Pokhara, check in at the hotel and stay overnight. On the third day of your Muktinath Yatra, start your day early and have a healthy breakfast. Check out from the hotel in Pokhara. You will be transferred to the airport where you will take a 25 minutes flight to Jomsom. On arrival in Jomsom, reach the hotel and check-in. Post lunch, a 20 km.the drive will take you to Muktinath. On the way, you can behold the scenery of mystic valleys, George of Gandaki River and beautiful monasteries. On reaching the Muktinath Temple (timings: 08:00 a.m. to 06:00 p.m.), you can have a holy bath in 108 waterspouts, which are named as Muktidhara. Next, worship the idol of Lord Vishnu in the temple. It is made of puregold and is tall enough to compare with a human. Later, walk to the Jwalamai Temple. Witness the continuously burning flame in the cave here, which are said to be the flame for the nine Durgas. Head back to the hotel in Jomsom for scrumptious dinner and an overnight stay. On the fourth day of your Muktinath Yatra, you will be transferred to Jomsom airport after breakfast. Catch a flight to Pokhara from here. On arrival, check-in at the hotel and set out for local sightseeing. First, visit the Bindhyabasini Temple. Dedicated to Goddess Bhagawati, it is set at a small hill-lock 3000 ft. above the sea level. Next, visit the Davis Fall (timings: 05:00 a.m. to 07:00 p.m.; entry fee: INR 60/250 for Indians/foreigners). This gushing waterfall forms an underground tunnel after getting to the bottom. It is a beautiful sight to behold. Later, visit the Seti River Gorge and the Gupteshwor Cave. The Seti River Gorge is a suspension bridge over the river and offers magnificent views. The Gupteshwor caves (timings: 06:00 a.m. to 06:00 p.m.; cave’s second section is closed during monsoon season; entry fee: INR 5/100 for Indians/foreigners; longest cave running 2950 meters) have ample natural lighting and an underground waterfall. Lastly, take a boat ride through the Fewa Lake (timings: 09:00 a.m. to 06:00 p.m.; depth: 8.6 meters). It is the second largest lake in Nepal. Spend the night at the hotel in Pokhara. Yet another early start awaits you. Have breakfast and drive back to Kathmandu from Pokhara. Once you reach Kathmandu, check in at the hotel and drive to Sarangkot. It is a hill station that is most popular for breathtaking sunrise and sunset views. Glance over the valleys and seize your camera for this true introduction to Nepal. From this point, you will be able to spot Mt. Fishtail, Mt. Annapurna, Mt. Dhaulagiri, Nilgiri and other mountain ranges. For adventure junkies, this point is best to indulge in paragliding activities (Costs approximately INR 12,000). 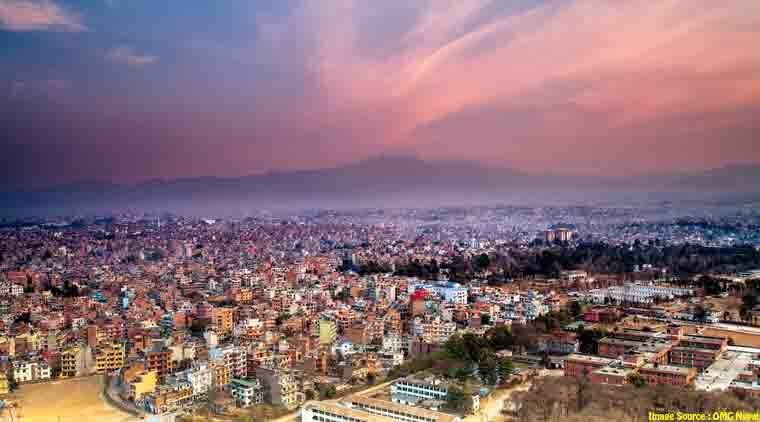 Fly over thousand feet and witness a large area of thick forest lands below your feet as you fly over Kathmandu. Later, return back to the hotel in Kathmandu. Savour Nepalese cuisine and spend the night relaxing at the hotel in the valley. Your Muktinath Yatra comes to an end here. On your last day of this trip, have a healthy breakfast and head to the airport to catch a flight back home. We hope this spiritual and naturist trip gave you a hundred memorable moments to cherish for a lifetime. September to February is the best time to visit the Muktinath temple in Nepal. The weather is clear and dry, thus offering stunning views of the snow-capped Himalayas. 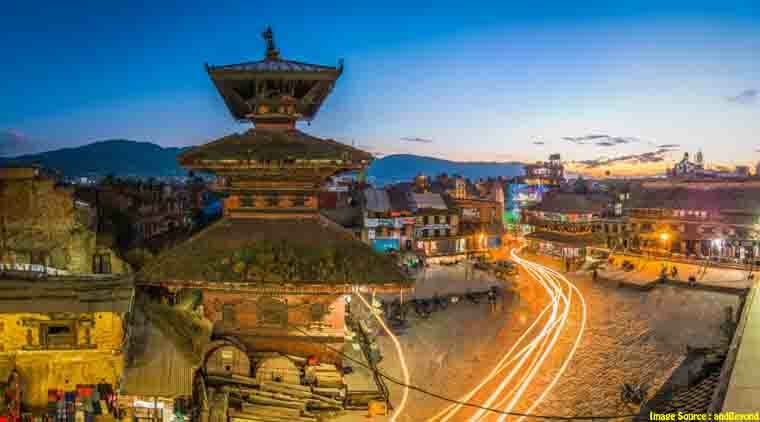 Get complete information on visas and access points in Nepal. On-arrival tourist visas are easily obtainable for citizens of most countries at a number of border entry points. Keep a headlamp with several extra batteries in the carry-on bag. Power cuts in Nepal are common and they can reach up to 14 hours per day. Pack a pair of hiking shoes, if you wish to do any trekking on this Muktinath package tour. Carry a pair of gloves and a winter hat on this Muktinath package tour if you are traveling in winter months. Carry guidebooks or research on various online sources that mention useful facts for cutting costs, staying healthy and being connected when online in Nepal. Avoid water that is not boiled or bottled. Moreover, avoid consuming pre-cut fruits and raw vegetables as much as possible. The valley around Nepal’s capital is full of pilgrimage and temples sites. On your Muktinath package tour, you will be visiting all such temples like Pashupatinath, Boudhanath and the famous Monkey Temple. Make sure to keep your clothing appropriate. Before you depart, on your last day of the Muktinath package tour, be sure to exchange all the Nepalese currencies. They are not accepted outside of Nepal. Moreover, taking currency out of the nation is against the law. You can reach the temple by helicopter service which is available from Pokhara (45 minutes) and Kathmandu (2 hours 30 minutes). However, the helicopter can be hired only when the weather permits. Take precaution for altitude sickness by taking Aspiring or Diamox tablet. Days are relatively warm. It is advisable to carry light warm clothes during summers and heavy woolens and jackets during winters. The Muktinath temple is considered very sacred for Hindus and is one of the eight most sacred shrines.